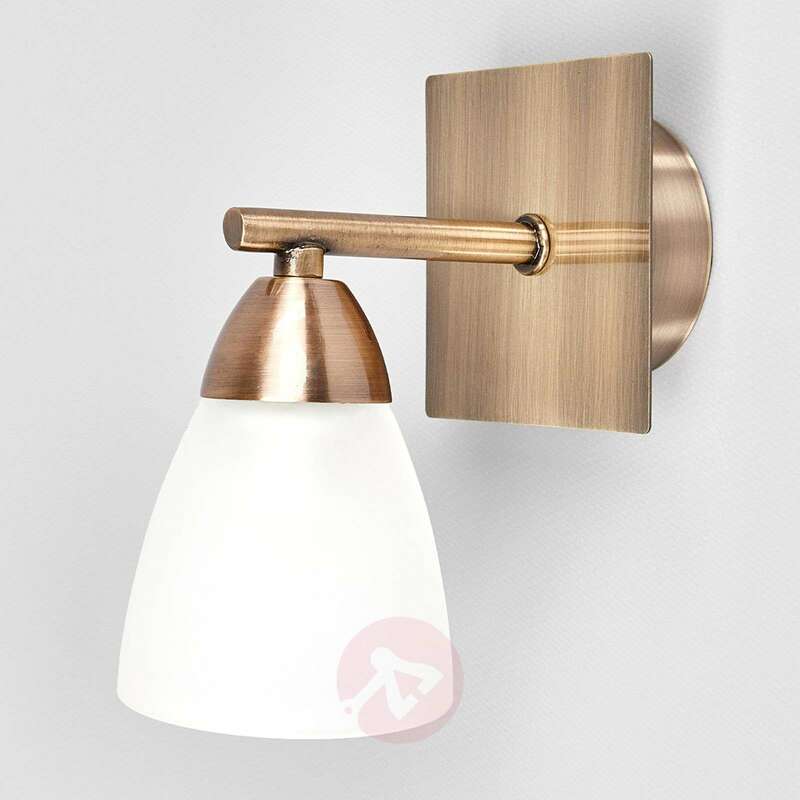 Nikla combines modern and classical components by the finish, for example, in antique brass, and the frame in contemporary and square design. 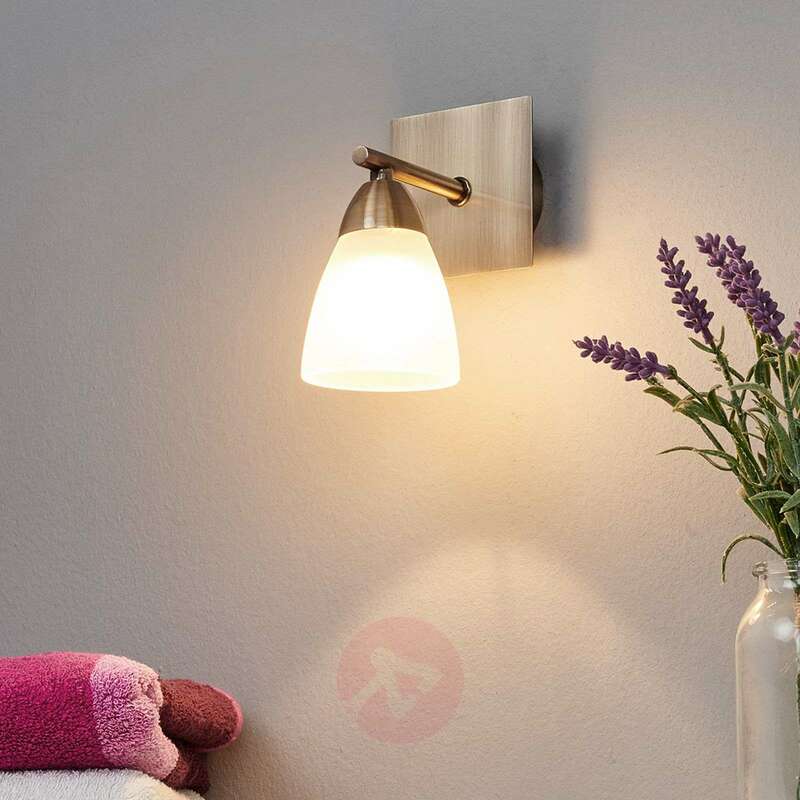 The glass lampshade spreads the produced light softly and uniformly. 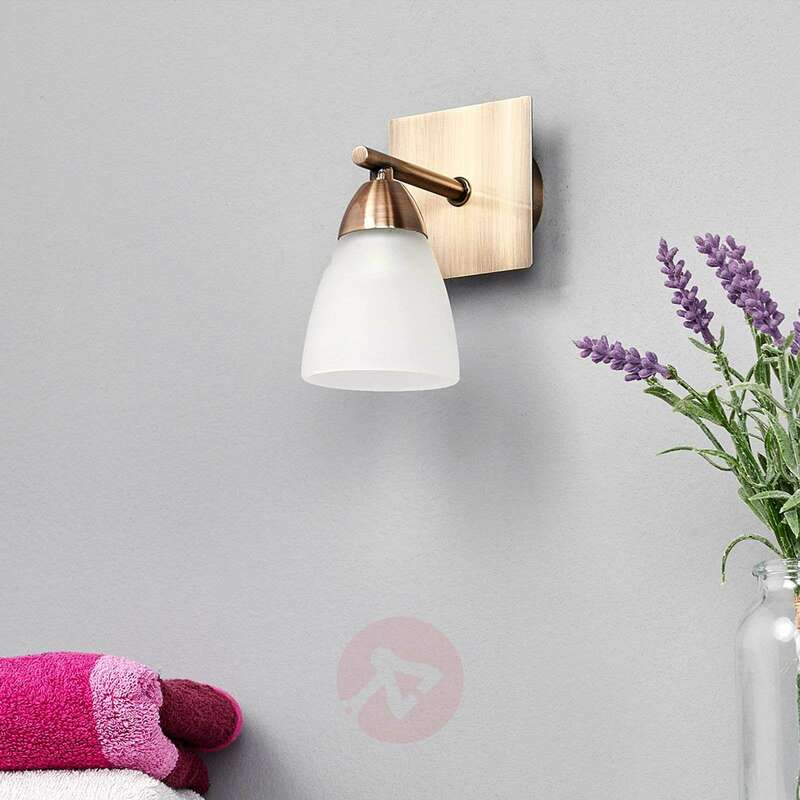 If you want to use the wall light for lighting up the bathroom, it can be ideally mounted above a mirror. 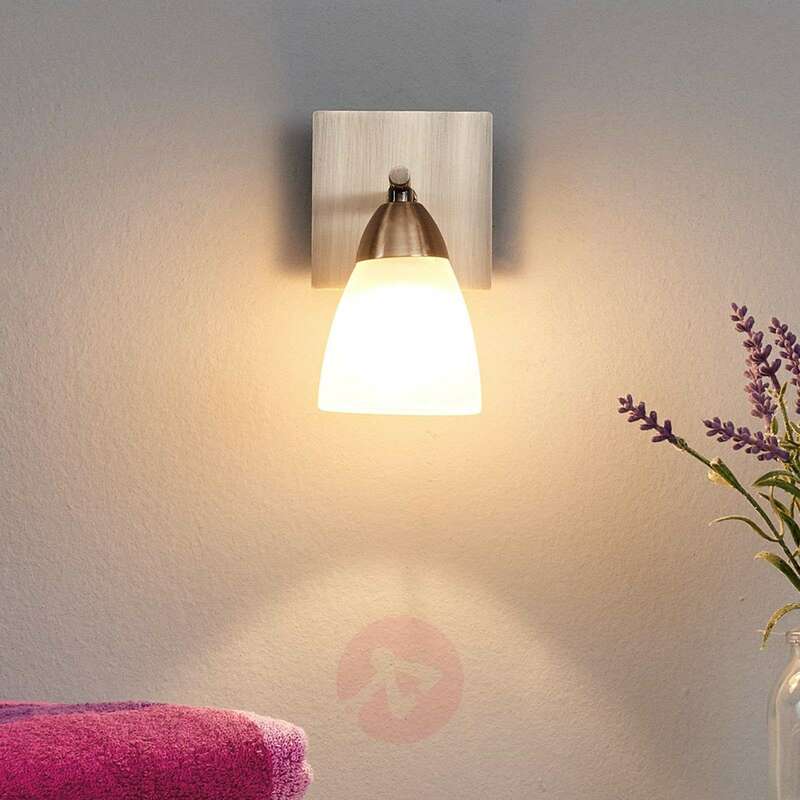 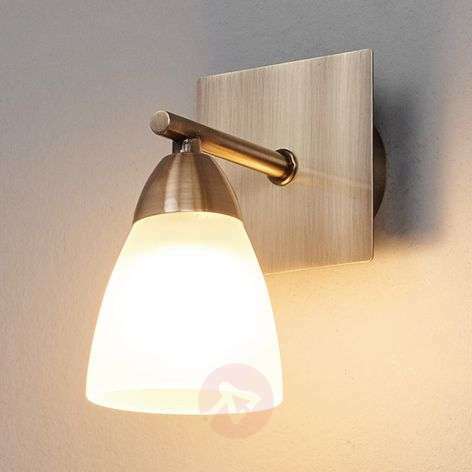 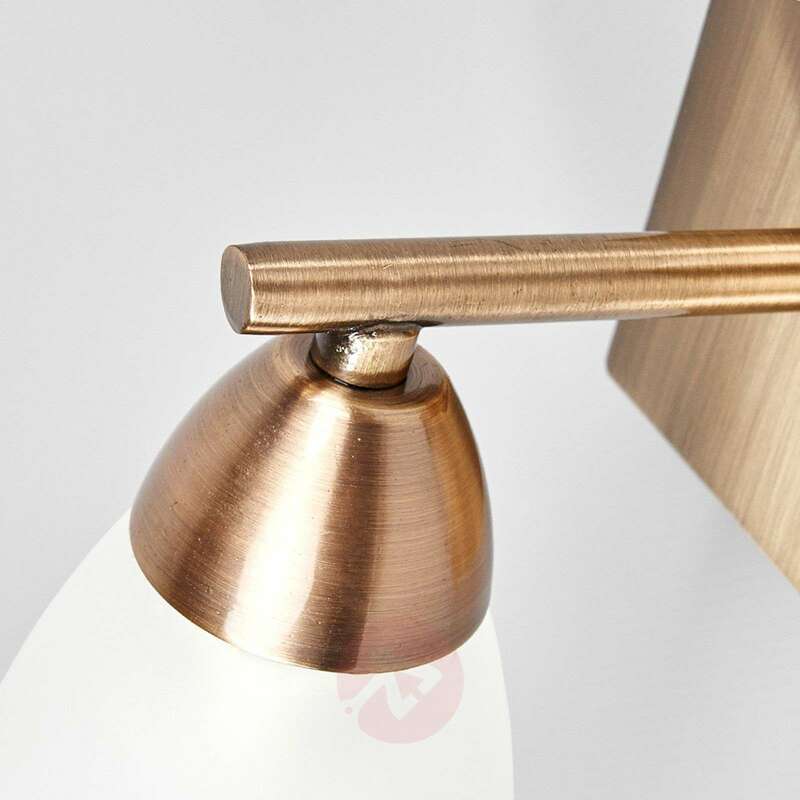 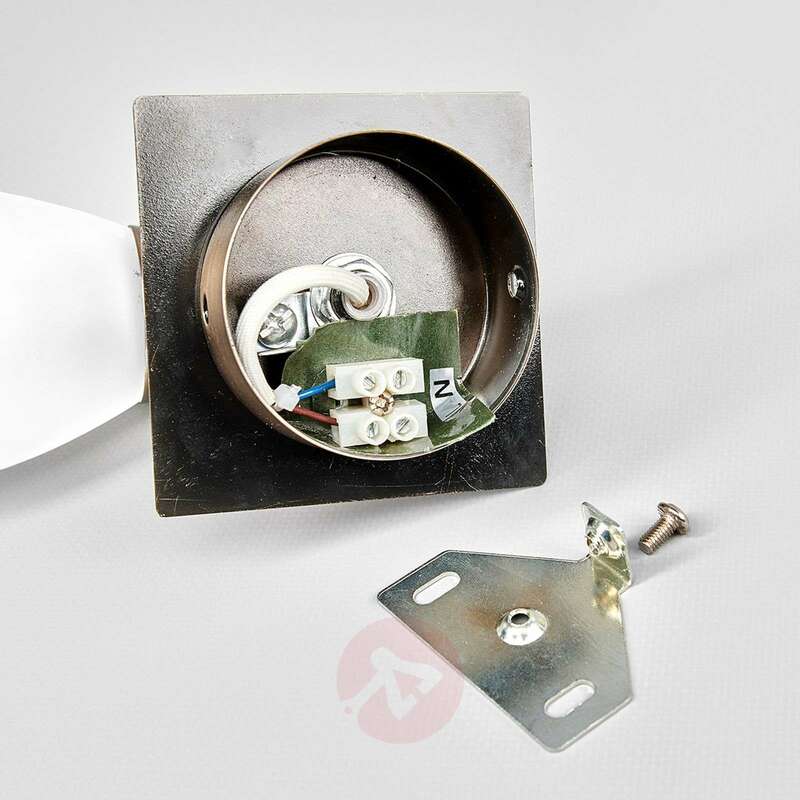 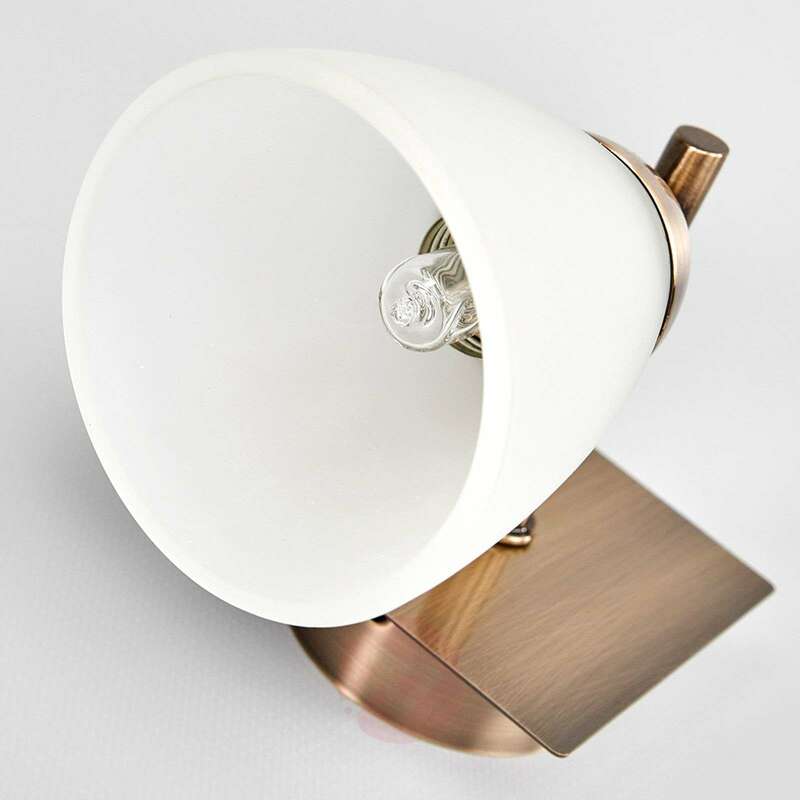 The wall light can also beautifully light up many other rooms as accent lighting.